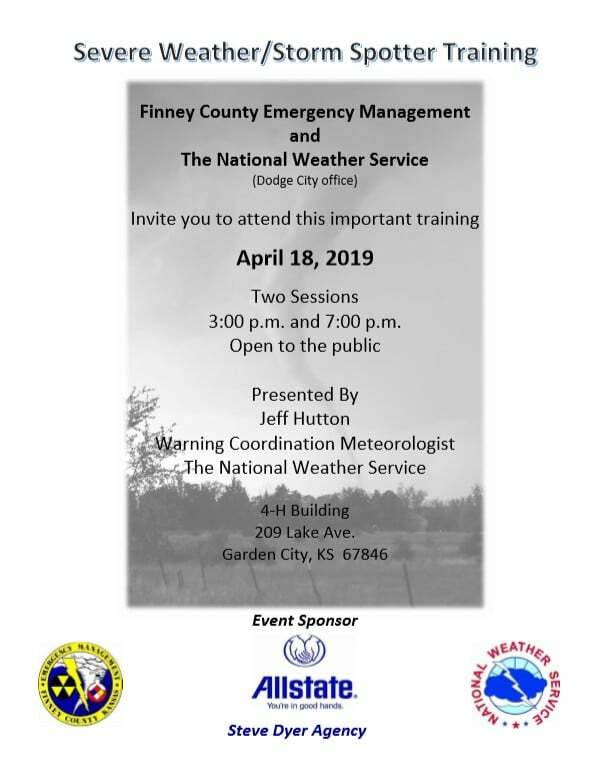 Finney County Emergency Management and The National Weather Service (Dodge City office) invite you to attend this important training April 18, 2019 @ 3:00 pm and 7:00 pm at the 4-H Building in Garden City. This training will be open to the public. Presented by Jeff Hutton, Warning Coordination Meteorologist at The National Weather Service.